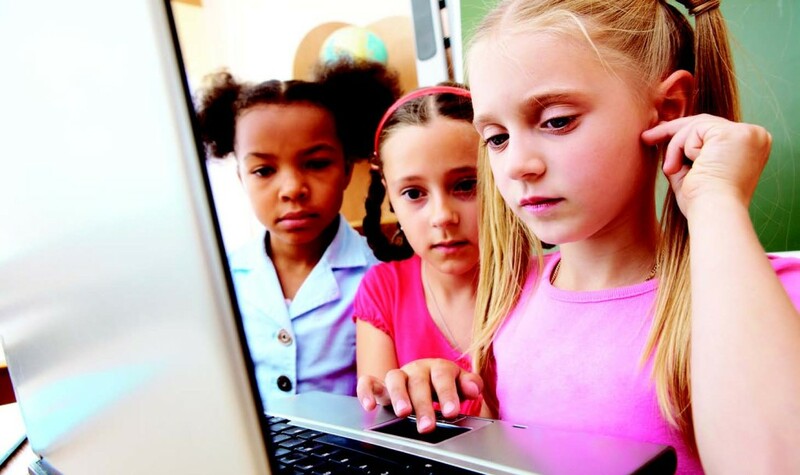 “Education, at every level, is becoming more dependent on technology – the Internet, distance learning, electronic libraries, video conferencing and email every day… Interruptions to computer systems or networks can impact significantly district operations and the availability of education materials.” Thus wrote Edward Hammond and John Hall of American School & University newsletter in 1998. Fast forward seven years, and technology is even more central to school districts’ operations than administrators could have ever dreamed. That’s just how long Shelton School District and CoastTec have partnered for uninterrupted power. That’s because Bob McMath, Server and Network Administrator, understood the impact a power glitch would have on Shelton’s eight facilities and, more importantly, its students’ safety and education. A strong fleet of UPS units is undeniably important to schools, kids and parents, but capital investment costs give administrators pause. After all, strapped school budgets mean technology projects are funded in small increments annually… using an ultra-sharp pencil. Both the importance of uninterrupted power and the reality of tight budgets are common to nearly all school districts nationwide. In the case of Shelton, these issues are exacerbated by the Pacific area’s challenge of extreme unpredictable weather. Nationally, capacity shortages and power fluctuations are on the increase — largely due to our country’s antiquated power grid, dubbed by energy insiders as “a power grid on sticks.” That fact intensifies the diminished power capacity which often results from extreme weather cycles. The Seattle area is particularly vulnerable to high force winds, heavy rainstorms, saturated soils and downed trees causing outages. According to the city’s own tourist website, “Washington State is one of the most frequent locations of Presidentially-declared weather related disasters.” Weather-related outages frequently exceed the running time and capacity of a generator. 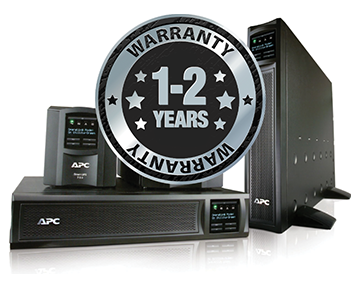 The alternative to UPS units? Mission-critical equipment would lose connectivity, meaning schools would need to wait for power. Costly assets would be potentially at risk. Moreover, unlike corporations with large IT teams, school districts generally have limited IT staff operating out of a central office who must address myriad issues first-hand. “I’m an IT person for K through 12, so it’s pretty critical that we have power,” says McMath. According to McMath, many other school districts are unfamiliar with the refurbishment option and automatically replace their UPS with new units. It’s a missed savings opportunity, especially when multiple units are involved. After all, recertified units perform the same at a fraction of the cost. “It’s simply a matter of dollars and sense,” according to McMath. 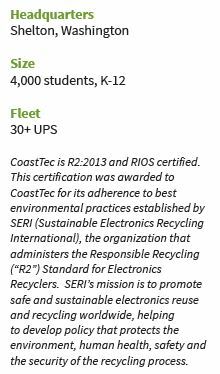 With weather and power related outages becoming more and more unpredictable and frequent, school districts are getting wise about their UPS fleets and checking out CoastTec. Could your school district benefit from CoastTec reliability and cost-savings?